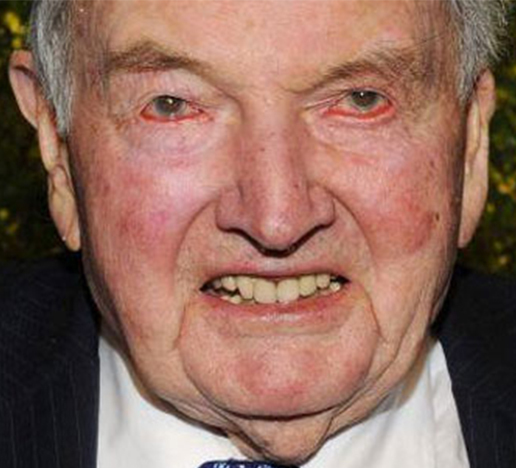 OK, I know, cheap trick—dog pile onto everyone’s favorite candidate for “anti-christ,” David Rockefeller—youngest grandson to John D. Rockefeller, who died yesterday at an impressive age of 101. No, he didn’t die from a fabled seventh heart transplant. 101 is a respectable age to not wake up one morning. We can only wonder at what ‘Kitty Kellie’-esque insider dope may immediately come burbling forth for he was #1 on most people’s “Illuminati” puppet-master lists, etc. David was never shy about his feeling re: the “NWO” … But older brother Laurance seemed to march to a different drummer. It was around this late summer 1994 time period I began to really get to know my neighbors, Hanne Strong, and her husband Maurice (Under Secretary of the Environment for the United Nations) and Hanne’s daughters’ Christine and Suzzane. I had began to be included in gatherings at Strong gatherings and I found myself trotted out occasionally to help educate influential visitors about there many strange reports I had been investigating. 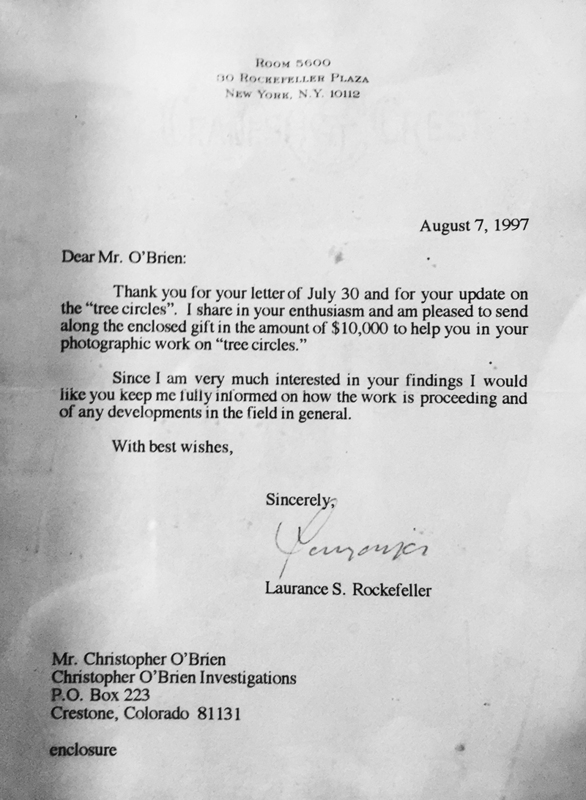 …In late July, 1997, I was fortunate enough to spend a one-on-one weekend with Laurance Rockefeller. This occured during what may have been his last visit to the Baca before his death at age 94 in 2004. One morning Hanne called out-of-the-blue and asked, “Are you busy right now?” Rhetorical question, of course. Upon hearing that my time could be made fluid, she suggested I quickly put together a package of information relating to my “…investigative work” and head over to her house immediately – saying: “there is someone here I think you should meet.” This was the first time Hanne had ever made such a spontaneous request. I never knew she was a true fan of my work. I spent an hour or so quickly putting together a complete folder of data and headed out the backdoor — south toward South Crestone Creek. The Strong’s gorgeous house sat two houses away, across the creek, several hundred yards south by southwest from where I lived. I arrived at the front door just as two men exited the house. It was Harvard’s Pulitzer Prize Winner, Dr. John Mack and a friend, “Sequoia Trueblood,” an ex-special forces operative. Hanne introduced us and, much to my dismay, the two of them left. Hanne waved goodbye and nonchalantly motioned me to go inside. I silently chastised myself for taking too long before coming over. I was bummed that I had missed the chance to meet and speak with Dr. Mack. I entered Hanne’s house and standing there in the entrance foyer was a smiling Laurance Rockefeller. I immediately recognized the eighty-seven year-old billionaire and something else came clearly into focus. Hanne introduced us and we sat down. Hanne fussed over us for a few minutes and then left us alone while Rockefeller and I talked for three-plus hours. We covered a whirlwind of subjects and I was impressed by Laurance’s wide-ranging interests and his insider knowledge of crop-circles, UFOs and other so-called paranormal phenomena he was willing to share with me. While Hanne’s grandkids played around the house, Rockefeller and I quickly established a conversational rapport. He was a no non-sense, cut- to-the chase kind of guy. After some pleasantries he zeroed in and quizzed me concerning several researchers he had been funding, including Colin Andrews, John Mack and Steven Greer. I carefully acknowledged the many positive aspects of their work but also shared with him my subtle reservations concerning potential inconsistencies in their “ET” based thinking. He seemed upbeat and impressed at my attempts at out- of-the-box thinking and the conversation never seemed to lag. Toward the end of our intial July 1997 meeting, I mentioned I felt there was a correlation between the complexity in the Great Britain crop-circle phenomenon and the coincidental spread of mad-cow disease through the England between 1986 to 1996. I then voiced a further suspicion that recent unexplained random macro-burst blow-down events, documented along the Continental Divide, in the Rocky Mountains, may somehow be connected to the recent outbreak of chronic-wasting disease in Colorado. My of-the-cuff thinking struck a cord. As I was leaving, he asked Hanne if it was alright to have me back to speak further about my theories the following day. You bet I would be back! I returned home my head reeling from all the rarified air I had been breathing. After an evening of further preparation, I arrived back at Hanne’s the following morning with no lust result and found out I had been granted an entire day. ; a one-on-one audience with Uncle Larry. His Gulfstream jet crew was gassed up and ready to depart, but he had decided to stay an extra day in the valley. I was the agenda. I immediately picked up where we had left off and our conversation ebbed and flowed through a variety of subjects. I felt relaxed and confident and a bit playful. It was a beautiful late summer day and we both reclined on comfortable lawn furniture in Hanne’s back yard discussing philosophy, (Rockefeller earned a degree in philosophy from Princeton University) Heisenberg and quantum-physics, and several other cutting-edge topics before lunch. 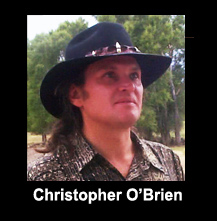 After lunch, about halfway through the afternoon, I sensed an opportunity and brought up my suspicion concerning the ancient practice of ritual sacrifice and the possible connection to the unusual livestock death phenomenon. He looked at me and gave me a thin-lipped smile. I quickly gave him an overview of the data I had accumulated related to this blood-based mystery and, in a low-key manner, suggested that this was an important area of potential research and investigation. He expressed somewhat of an interest, but, like most of us, he seemed uncomfortable with the subject of humankind’s relationship to cattle. He really lit up, however, when I then brought up more user-friendly phenomena. We spoke about undefined natural phenomena that I felt were being reported. I mentioned Tesla’s rumored trip to the area in the late nineteenth-century and recounted several reports of what may be quartz generated, static electrical discharges that have been reported to shoot up out of the Sangres on extremely cold, dry winter nights. Tesla was renown around Colorado because of the electrical systems built in Telluride and Cripple Creek Colorado. The subject would invariably be brought back to the cereal glyph phenomenon. Rockefeller obviously had an intense fascination with crop-circles. I gently reminded him that many of these formations could be hoaxed, but this didn’t seem to be an issue with him. The entire unfolding phenomenon was important – it didn’t seem to matter to him who was authoring the message. We talked at length about crop-circles and I argued that human performance art was different from ET activity. He acknowledged my time-line correlation methodology when he gifted me with a first- edition copy of Michael Glickman’s seminal 1996 work Corn Circles that had just been published by Wooden Books. This unassuming fifty-page masterpiece is a time-line, formatted presentation of the unfolding crop-circle phenomenon during the eighties and early- to-mid nineties. The little book ends with the 1995 cereal glyph season – at the height of the Mad-Cow epidemic in England and it perfectly illustrates my theory concerning the unfolding patterning of complexity of crop-circles and their possible correlation with the spread of prion disease. The beautiful scenic splendor of that July afternoon on Spanish Creek sticks like epoxy in my process. I remember thinking how lucky I was to be briefing a billionaire concerning recent reports of weird, documented UFO sightings and huge blow-down events in the Rockies. I observed the apparent synchronicity between the most recent “blow-down” near Fort Collins, Colorado and the subsequent outbreak of chronic-wasting disease in deer-and elk herds from the north-central Colorado mountains. An outbreak that ten-years later has spread across the United States. He became a bit animated. I told him that one of the primary goals of any investigation into these occurrences should be a detailed aerial survey of the affected forest and he enthusiastically agreed. At one point he asked me about scientists who were willing to officially study unusual phenomenal events. I asked him if he was aware of the work of W.C. Levengood and BLT Research. He wasn’t aware of their work. I provided him with a quick overview of Levengood’s work and suggested that he meet with BLT’s Nancy Talbot; the T in BLT, to obtain more detailed information about their work. He took me up on this suggestion and, after being urged by David Perkins, Nancy followed up on this advise and contacted his office. Uncle Larry met with Nancy several months later. I’m happy to report that this connection helped generate a sizeable amount of Rockefeller funding to help BLT Research to further their scientific process. 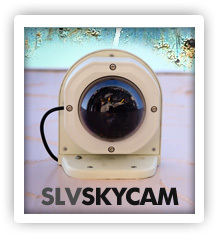 His eyes grew large as he began to slowly guffaw – then laugh. His laughter became deeper, more hacking and intense. I’m not making this up. His initial reaction ceased being a laughing response and it became a deep unstoppable cough that slowly began to get more and more severe. I started to get a little worried and gently patted him on the back. It didn’t help. I had only been kidding, but by that point, it didn’t matter. He evidently was so amused by my mock question he was laughing himself into an apoplectic fit. He had to excuse himself and leave. A concerned Hanne appeared—gave me a withering look, and quickly took him inside. At this point, I felt a bit concerned and very uncomfortable. What had I done?! The scenario of Laurence Rockefeller choking himself to death with laughter over a joke about his brother being thought of as “The Antichrist” flashed through my head. After awhile, Hanne still hadn’t come downstairs and I was starting to get real concerned. Then, she finally tip-toed down the stairs and told me quietly, but brusquely that my meeting with Laurence was over. Yikes! I gathered my data and sheepishly left. A local massage therapist, Diane Skye arrived and hustled upstairs to attend to Rockefeller evidently laid out in the guest bedroom, recovering. I arrived back home shaking my head. Needless to say I was very relieved to find out from Hanne the next day, that Rockefeller was OK, it had been scary and his handlers weren’t happy, but he had had left that morning and flown out on his private jet from Bergman Field in Alamosa. Hanne, was obviously not pleased with me and how my prior afternoon with Laurence had ended. I explained to her that Laurence had only been laughing at my casual joke but that didn’t seem to make any difference, she definitely wasn’t pleased that he left after recovering from his laughing fit and, evidently he had not finalized his commitment to Hanne’s latest project. Rockefeller, over the years, had been kind to Hanne’s foundation. Thinking back, I never really paid much attention to what the UFO conspiracy buffs had to said about Laurance Rockefeller. I found that the man had a healthy air of open-minded innocence as I would be proud to have when I’m eighty-seven years old. He did not seemed attached to any specific agenda other than the pursuit of understanding and increased personal awareness. Not having to be encumbered with cash-flow and income concerns must be nice. There were several touchy areas that I brought up – including his family’s early support of “eugenics,” and selective breeding. I asked him about his thinking around the controversial subject and he responded openly, candidly. I was impressed, he obviously maintained a close connection with his innate, childlike wonder—born out of an ageless sense of curiosity and a thirst for knowledge. That “sense of wonder,” when lost, means we have succumbed to growing old. His energy was timeless, refreshing and it showed through as I watched his interaction with me and Hanne’s offspring. All during the afternoon, Hanne’s many grandkids buzzed about the place, they were well-behaved and exuberant, they only interrupted a couple of times and I recognized Uncle Larry’s natural ease when focusing on the children. They didn’t know who he was, and it didn’t matter. He glowed and seemed uplifted to be around such exuberant, non-judgmental, childlike energy. I feel blessed to have experienced feedback about my work from a “1%er”. Rockefeller earned a degree in philosophy from Princeton and he had a mind like a steel-trap. Rumors of his eccentricities are well founded, but these are not ungrounded, “eccentric” interests. We all know a true “seeker” when we spend quality time with one of them and I suspect that he was part of the solution, not a part of the problem. I still wonder how someone of his social and political stature could devote enough time to educate themselves about such fringe subjects and how he could be as up-to-speed as he appeared to be. 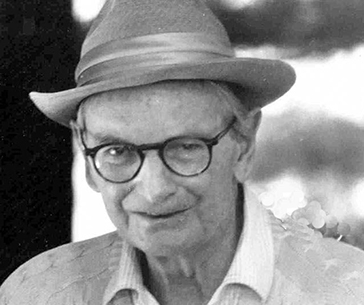 Laurance Rockefeller has become somewhat of a mythical character in ufology, His low-key philanthropic interest in the field helped drive research forward in the eighties and nineties. Rockefeller publicly funded the Sturrock Report on UFOs, Marie “Bootsy” Galbraith the wife of Evan Galbraith, one-time US ambassador to France and BSW’s Best Available Evidence (of UFOs) document, written by Don Berliner and Antonio Huneuus), crop-circle researcher/investigator Colin Andrews, abduction investigator Dr. John Mack, Steven Greer and CSETI and others. Rockefeller’s efforts were welcomed by the field as a potential benefactor. Having said this, I stress that at no time did I ever mention money, or funding etc during my two days with him. As with the media, I have never asked any individual or group for personal funding. I have always thought that the data should do the talking and asking. I enjoyed spending casual time with Rockefeller. My fond recollections of that long afternoon are centered around the wonderful, blissful feeling I was experiencing. Never in a million years had I every thought I’d be spending quality time with a billionaire. Is Laurance just another ‘truth seeker’, or could there be a more sinister motivation behind his devotion to this obscure quest? Certainly there is no doubt that the Rockefellers constitute one of the world’s wealthiest and most influential dynasties. “DavidRockefeller is the most conspicuous representative today of the ruling class, a multinational fraternity of men who shape the global economy and manage the flow of its capital. Rockefeller was born to it, and he has made the most of it. 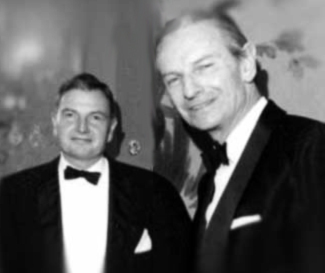 But what some critics see as a vast international conspiracy, he considers a circumstance of life and just another day’s work… In the world of David Rockefeller it’s hard to tell where business ends and politics begins.” OK, now David Rockefeller is gone… what now? Whooze in charge of da world, Donald Trump? It’s nice to read this description of Uncle Larry. Our minds are filled up with so much misinformation about these dynasty families that it’s easy to forget that they are human. Moreso especially when we are struggling financially and it’s so easy to blame the rich elite who seem oblivious to our struggles. I’m sure I might have enjoyed a conversation with him myself based on your description of him. I just wish I knew that freedom that the Rockefellers know to be able to pursue my interests and talents without having to be held back by financial restraints.